Many enterprise network managers are planning to adopt SD-WAN. 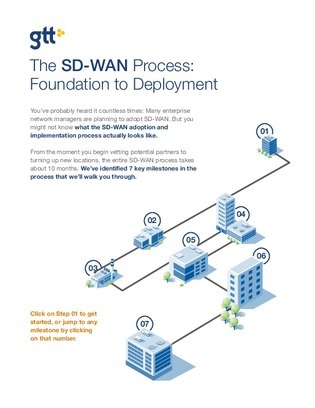 But you might not know what the SD-WAN adoption and implementation process actually looks like. From the moment you begin vetting potential partners to turning up new locations, the entire SD-WAN process takes about 10 months.